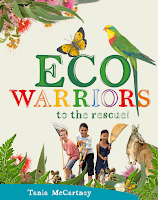 Buzz Words is thrilled to welcome children's books writer and advocate-extraordinaire Tania McCartney to chat about her new release from NLA Publishing Eco Warriors to the Rescue!. The multi-talented Tania researched and wrote the book as well as contributing the photography and the layout/design concept. Tania and the National Library of Australia have collaborated on a number of titles recently and Tania tells us how it all began (and check out my review of Eco Warriors in a separate post today, too!). And one of those people was Susan Hall, publisher at the National Library of Australia. Basically, I asked her if I could show her some book ideas. And guess what? She said yes. Fast forward around two years and my fourth NLA book is now in production. It’s kind of hard to believe. My grandfather and literary idol—Wilfred Winter—was an historian, author, journalist and photographer, and following in his footsteps in even the smallest way, while simultaneously fulfilling my love of history and book production, is a major life achievement on a deeply personal level. The NLA’s general publications are renowned for their significance, excellence and beauty. Their children’s department is relatively new to the organisation, yet its book list is already award-winning and well-respected. NLA Publishing believes that their books will contribute to the organisation's aims of nourishing the nation’s memory, of supporting the vitality of Australian culture and heritage, and demonstrate a strong national focus contributin to an understanding of our country and peoples. The Library believes their publications are a wonderful way to ensure its striking collections are widely used and disseminated, and that they contribute to an understanding of our country and peoples. Writing for the National Library has become more than a personal achievement for me. It’s allowed me to contribute to our country’s historical references—something I feel passionately about. As I live relatively close to the NLA in a geographical sense, I’ve been able to develop a warm working relationship with the children’s publishing team, particularly Susan Hall and Manager, Publications Sales and Promotion, Maureen Brooks. Along with their highly creative and dedicated team, they work hard to produce books that not only showcase the Library’s impressive collections, but that delight and entrance children. All NLA Publishing books need to feature the Library’s collection in some way. My second NLA book——does just that, showcasing eleven early botanical paintings within its pages, along with ‘cuttings’ from other collection paintings. 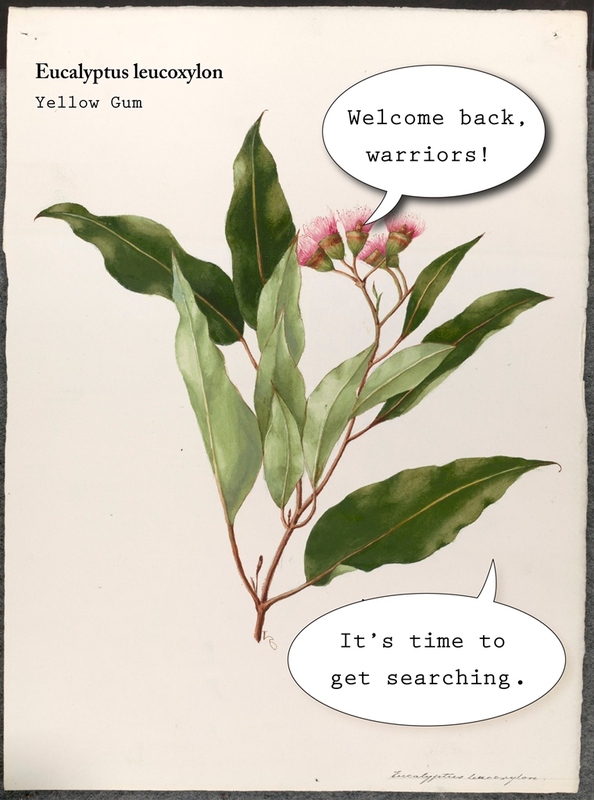 In Eco Warriors, three children—our young eco warriors—enter the pages of their favourite book in search of ways to save our native flora. Along the way, they meet up with the featured plants, who offer them tips on how to be more ‘green’. At the back of the book, as with most NLA publications, references to Collection images are provided, as well as addendum information such as plant facts, native birth flowers, and Australian floral emblems. Researching Eco Warriors and imparting an ecological message into its pages was a lot of fun. I love creating books that teach adults something new, too. But I was also very fortunate to have the opportunity to become even more involved in the production of this book. was not used in the final draft of the book. As the Library is a relatively small team and are so open to working closely with their authors, I took much delight in designing and laying this book, including the photography and image-creation. Along with the wonderful NLA designer Amy Cullen, who put together the cover and addendum pages (and finessed the entire look of the book), it was amazing to be so involved in the production and layout; something I truly love to do. The end result is a picture book teeming with input from a group of dedicated, talented people, including research and fact-checkers, early childhood teachers, and botanical specialists like the wonderful Barrie Hadlow. I’m hoping Australian kids will take as much joy from the book as I did in putting it together—and hopefully, somewhere up there, my dear grandfather would be proud. And to think, this all came about because I was brave enough to ‘ask’. I highly recommend it. Learn more about National Library Publishing. 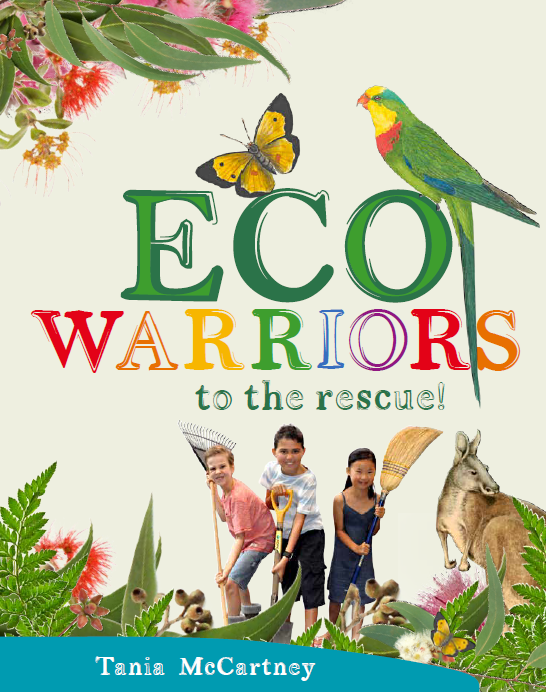 Join Tania McCartney and her three real-life eco warriors—Banjo (Riley), Ned (Andrew) and Matilda (Claire)—as they launch Eco Warriors to the Rescue! at Canberra’s National Arboretum Gift Shop, Saturday 5 October 2013, at 11am. 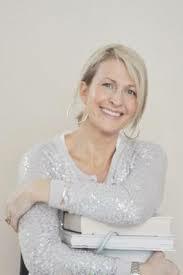 Tania McCartney is an author of both children’s and adult books. An experienced magazine writer and editor, she also founded respected literary site Kids’ Book Review. She is passionate about literacy, and loves to speak on reading, books and writing. Her latest books include Eco Warriors to the Rescue! (National Library Publishing), Riley and the Jumpy Kangaroo: A journey around Canberra (Ford Street), Caroline Chisholm: The Emigrant’s Friend (New Frontier) and An Aussie Year: Twelve months in the life of Australian Kids (EK Publishing). Tania adores books, travel and photography. She lives in Canberra with her family, in a paper house at the base of a book mountain. Go to Tania's site for the full blog tour schedule. If one can glean one new helpful snippet of information per day, one must feel enriched. Tania and Vicki, thanks for sharing more snippets than I deserve. Thanks for dropping by Buzz Words and for your thoughtful comment. So glad you could glean useful info and you deserve them all! Thanks for having Tania here. Hi Tania - waving madly!!! Your new book looks fabulous and I can't wait to read it in person - wahoo for asking, you just never know what will happen hey! Tina - you'll love the book; and Tania - always a pleasure!